What Does Code P0722 Mean? OBD II code P0722 is a generic code that is defined as “Output shaft speed (OSS) sensor -no signal”, and is set when the PCM (Powertrain Control Module) fails to detect a signal from the transmission output shaft speed sensor. 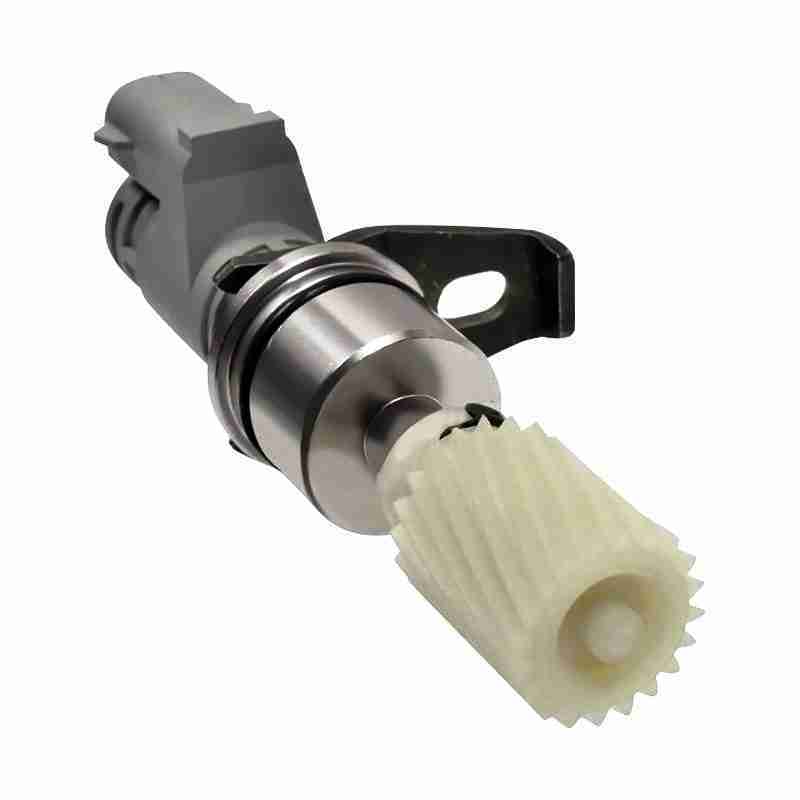 Most, if not all output shaft speed sensors consist of a reluctor wheel or ring whose teeth interrupt a magnetic field, thereby creating a series of pulse that the PCM interprets as a rotational speed. While the output shaft speed sensor is the primary driver of the speedometer to indicate vehicle speed, it also provides input data to the PCM, which data is used to calculate appropriate transmission shift strategies. In a fully functional system, the PCM expects to see a steady increase in the rotational speed of the transmission as the vehicle accelerates. This information is compared to input data from the engine speed sensor, throttle position sensor and other engine driveability sensors, and when a pre-determined shift point is reached (based on information obtained from all relevant sensors), the PCM will instruct the TCM (Transmission Control Module) to initiate an appropriate gear shift. Thus, if the PCM does not receive an input signal from the transmission output shaft speed sensor, it is effectively deprived of the primary information it needs to control the transmission. When this happens the PCM will set code P0722, and may also illuminate a warning light. Note that on some applications, several failure cycles must occur before a warning light is illuminated. The image below shows a typical transmission output shaft speed sensor. Note though that the design, appearance of output shaft speed sensors vary greatly between applications; nonetheless, this sensor is almost always located close to the transmission output shaft. What are the common causes of code P0722 ? What are the symptoms of code P0722 ? How do you troubleshoot code P0722 ? NOTE: Note that code P0722 indicates a condition where the output shaft speed sensor is either not producing a signal, or if it does, the signal does not reach the PCM. Since this code does not relate to a signal that is too high, too low, erratic, intermittent, or implausible, the diagnostic/repair procedure is relatively simple, and generally does not require the use of an oscilloscope or other high-tech equipment. Refer to the manual to locate the output shaft speed sensor, as well as all associated wiring and connectors. Visually inspect all related wiring, and make repairs as required if damaged wiring is found. If the code persists, perform resistance, ground, continuity, and reference voltage tests on all wiring as per the instructions in the manual. NOTE: Pay particular attention to the reference voltage circuit; the voltage in this circuit at the sensor connector should be 5 volts, or very close to it. If there is no voltage on the reference voltage wire, check the wire for continuity, and replace wiring as required to ensure proper continuity. Also, check the CORRECT pin in the PCM connector to verify that the PCM is delivering the correct reference voltage. If it does not, replace the PCM, but note that PCM failure is very rare. Check the resistance of the signal circuit between the connector and the PCM connector. If this value checks out as per the manual, test the sensor’s internal resistance, since this value is a reasonably good indicator of the sensor’s overall condition. Replace the sensor if its resistance does not closely agree with the value stated in the manual. If all electrical values check out but the fault persists, remove the sensor from the transmission and inspect it for damage of any kind, and replace it if it is damaged in any way. If the sensor appears to be undamaged, connect its wiring, and spin the drive gear by hand with a digital multimeter connected to the signal wire. The sensor should produce a signal if spun by hand at a reasonable speed; it is does not, it is defective and it must be replaced. NOTE: Refer to the manual to determine if the sensor must be grounded to the vehicle to work. If it must be grounded, make sure the ground connection is sound during this step in order to obtain reliable test results. Daewoo Leganza 2.2L Auto. Won't shift in D. Only fault code is U3F00 ??? can this fit the 1999 range rover HSE 4.6 V8?